Stephen M. Hildebrand. 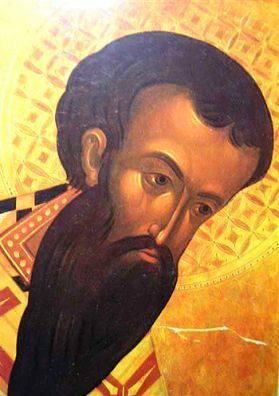 Basil of Caesarea. Grand Rapids, MI: Baker Academic, 2014. Like all of the Cappadocian Fathers, Basil the Great (c. 330-379) managed to get into a lot of fights. In this accessible yet erudite introduction to Basil’s thought, Stephen Hildebrand asks us to think about who Basil was writing to every time we pick up one of his books. Asking what an author’s intentions were and who the audience was should be fundamental, axiomatic questions for any competent historian, but Hildebrand uses these simple questions to read Basil in a whole new light. Why did Basil use very philosophical arguments in books like Against Eunomius, which risked leading him into error because of the presuppositions of pagan philosophy, while at other times (such as in the Morals) he limited himself to repeating the words of Scripture? Hildebrand suggests that in the first case Basil was contesting with opponents who were schooled in Greek philosophy and were arguing over the difference between homoousios and homoiousios, and in the second instance he was teaching his own disciples, who preferred him to speak straight from Scripture. Basil wrote differently when he was writing polemics and when he was teaching doctrine. Audience matters. This strategy doesn’t always work. 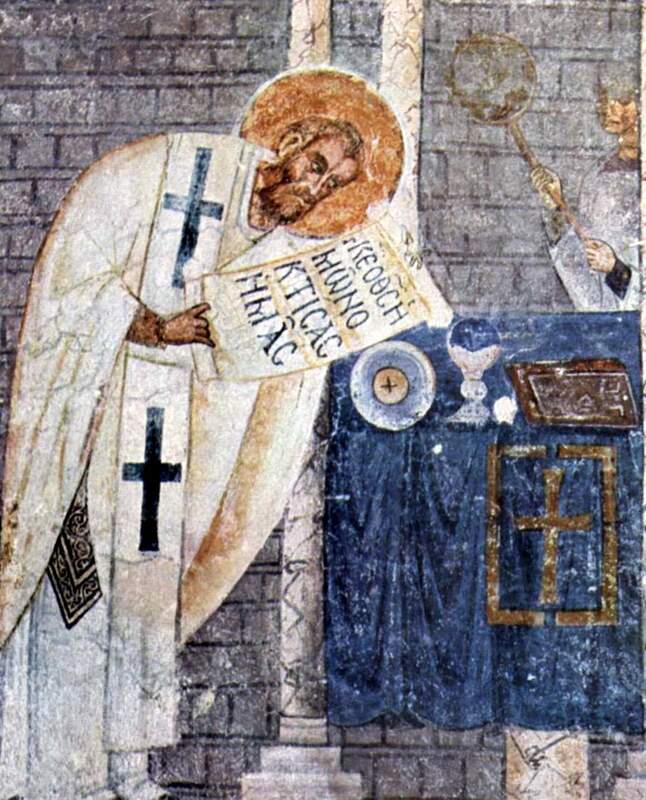 For example, scholars have argued long and hard about whether Basil fits into the Antiochene or Alexandrian school of Biblical interpretation. That is to say, did he read the Bible literally or allegorically? This is difficult because in the Hexaëmeron he said quite clearly that “when I hear ‘grass,’ I think of grass, and in the same manner I understand everything as it is said, a plant, a fish, a wild animal, and an ox.” He didn’t like “those who do not admit the common meaning of the Scriptures [and] say that water is not water, but some other nature.” In his Homily on Psalm 29, however, Basil interpreted the phrase “the voice of the Lord is upon to waters” to mean either to the “mighty voice of testimony” heard during Jesus’ baptism, or to the saints in general “because rivers flow from within them (John 7:38), that is, spiritual teaching which refreshes the souls of the hearers.” Richard Lim argues that these two books were addressed to different audiences; one more spiritually “mature” than the other and therefore more able to deal with allegory. 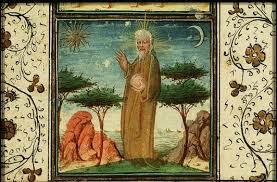 But Hildebrand shows convincingly that Basil didn’t think either of his audiences were particularly spiritual. In his Homilies on the Psalms (which frequently uses allegory), Basil asks his listeners, “how many stand there, coming from fornication? How many from theft? How many concealing in their hearts deceit? How many are lying? They think they are singing, although in truth they are not singing.” So why did Basil change his method of interpretation then? Because he got older, Hildebrand says. Basil also didn’t preach one standard for monks and another for ordinary Christians. “The monastic life,” Hildebrand says, “differs from the the life of ordinary discipleship not in essence but in intensity.” Like most of his contemporaries, Basil understood people who waited as long as possible before being baptized because there was only one more absolution from serious sin after baptism and so you really didn’t want to sin after baptism. Unlike his contemporaries, he didn’t like the idea of waiting and said that people who waited were like a “traveler who hastens to arrive at a famous city, but then stops short and lodges in one of the inns just outside the city walls.” Basil took Christianity very seriously, and he expected others to do the same, even while he acknowledged that “in this great house of the church not only are there vessels of every kind, gold and silver and wood and earthenware.” Hildebrand argues that Basil had a “too-realized eschatology,” and believed that all Christians should live an ascetic life the way they will in heaven, with as little marriage, slavery, gender subordination, and inequalities of wealth as possible. Similarly, Hildebrand says that Basil and Eunomius disagreed about God because they thought about language differently. He writes that for Eunomius, “first, names predicated of God and creatures are homonyms; they have the same sound but cannot mean the same thing. Names predicated of God and creatures are equivocal. Second, all the different names predicated of God are really synonyms. Thus, Eunomius insists that any name applied to God is synonymous with “unbegotten” (Apol. 16-17).” For Basil, on the other hand, “names refer above all to notions rather than things. A name does not grant immediate and exact access to a substance, whether God’s or a creature’s. 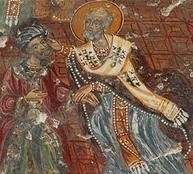 Even though notions often have really existing referents and can reflect the truth about these things, the relationship between names and notions does not depend upon the notion having such a referent.” It might seem like these are irrelevant philosophical considerations, but each bishop’s theory of names had enormous consequences for his Christology. They disagreed not because one of them was good and the other evil, or simply for the point of argument, but because both had different presuppositions about the nature of words. The lesson that Hildebrand’s account of Basil’s theology leaves us with is that one should always be careful before assuming that one’s enemies are stupid or evil. Presuppositions about how to read a text, the meaning of words, or the intended audience of a book can quickly push people onto different sides of an argument. Identifying and addressing those presuppositions might just help us to get beyond our disagreements and deepen our understanding of God, ourselves, and others. I would like to thank Catholic Library World for providing me with a review copy of this book in return for a different review published in their latest issue.